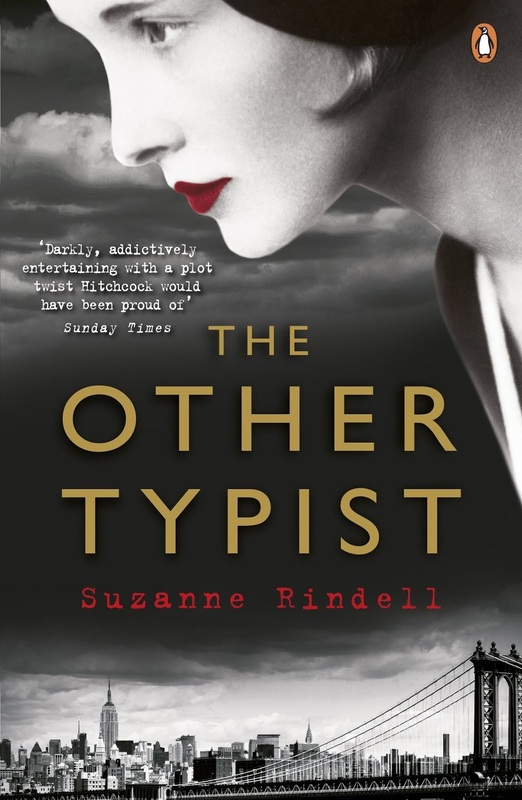 The Other Typist is Suzanne Rindell’s debut novel from Penguin Books. Abandoned as a baby and raised by nuns in an orphanage, Rose Baker has learnt that appearing as normal as possible, with no indistinguishable features is the safest way to live. Don’t catch men’s eyes, don’t cause a fuss, get on with your work and play by the rules. So as a typist in a New York City Police Department, recording the interviews and confessions of some of the cities most hardened criminals, she lives by these rules, that is until Odalie strides into her life. In 1924 the world for women is changing and Rose admires and idolises Odalie’s style. While Rose is almost ignored at work, when Odalie is employed at the precinct as another typist she brings a feminine glamour to the workplace and men swoon over her. She smokes, drinks, has her hair cut into a risque bob, all things Rose finds equally shocking and impressive. After a while, the ladies become close friends and Odelie asks Rose to move into her hotel apartment. From a shared bedroom in a women’s boarding house to a plush hotel apartment, Rose feels like her life is on the way up, all thanks to her new friend. Soon they’re sharing clothes, jewellery and their deepest secrets but there are certain things that Rose discovers which don’t sit so comfortably. There are so many rumours about Odelie’s past and where her money comes from, Rose tries to ignore them but when Odelie’s own boyfriend tells her a shocking tale and then a young man recognises Odelie, her past comes crashing back, impacting on both the girls lives forever. Written in such a fabulous time of change, Suzanne Rindell catches the tension and extreme class divide that was so obvious at the time. Her writing style is perfectly lush and pulls you in after the first couple of pages. Rose is a very likeable character and you can easily relate to the emotional roller coaster that she feels towards Odelie. Throughout the story (told from Rose’s perspective) you are teased by the fact that the tale ends with a dramatic conclusion and although the story does dip ever so slightly in the middle, the last handful of pages explode into a fascinating, yet ambiguous ending that leaves you second guessing everything you’ve read.